Ever since Binance was created, we have envisioned the creation of a native blockchain for our platform. And during the months that passed since the launch of Binance, amid all the expansions we made for the Binance ecosystem, the blockchain project remained an important step in our goal of exchanging the world. After months of groundbreaking work, we’re hours away from the testnet launch of the all-new Binance Chain, set at February 20. 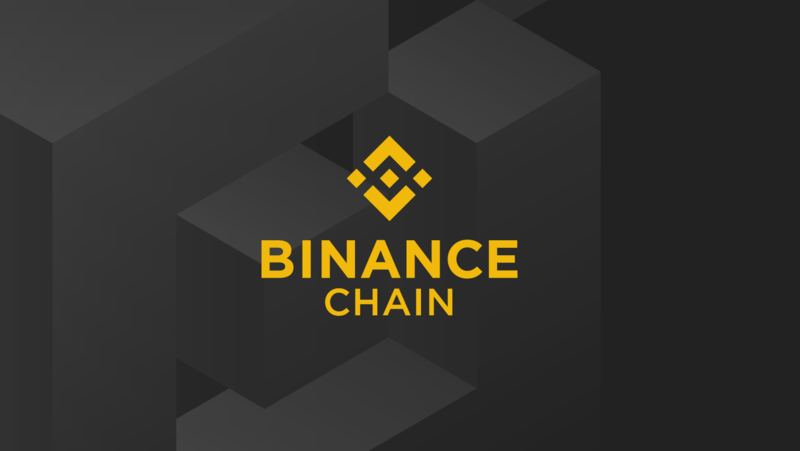 Binance Chain is a blockchain project initiated by Binance and has since involved a whole community of Binancians. Together, we want to ensure the creation of a blockchain that will serve as an alternative marketplace for issuing, using, and exchanging digital assets in a decentralized manner. 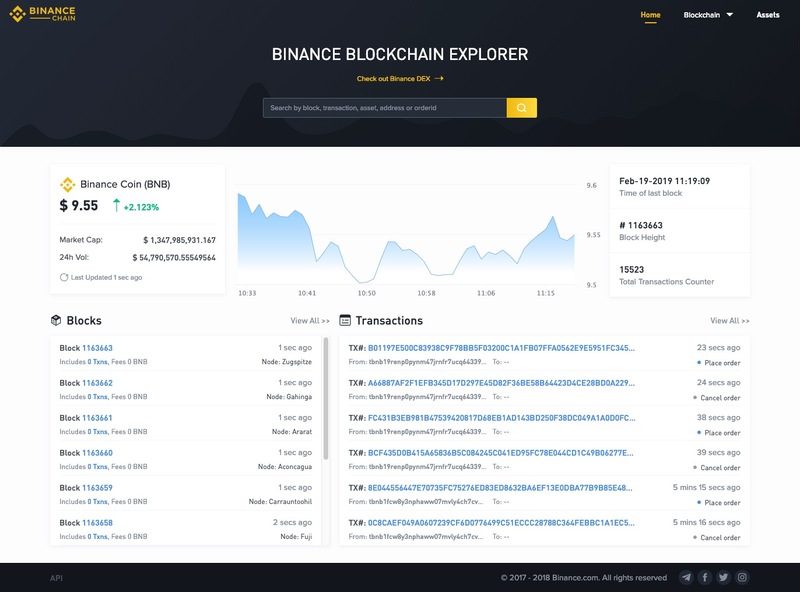 The first use case for Binance Chain is Binance DEX, a new decentralized exchange (DEX) that aims to carry over the best features of the current Binance exchange in a decentralized setting, while also offering the benefits and security of a DEX. Below, we explain what sets Binance Chain and DEX apart. Why DEX? And Why Binance DEX? A DEX is a great manifestation of Binance’s mission to spread the freedom of money. With a DEX, a person fully holds his crypto funds and directly plug into the network to trade without needing to provide personal information. Unlike centralized exchanges that may be subject to downtimes, a DEX is kept running by nodes distributed around the world and codes that execute functions. However, the current DEX options face issues that hinder them from growing as widely used platforms. The user experience on existing DEX platforms is less intuitive and user-friendly compared to centralized exchanges. In addition, DEX platforms face speed and liquidity issues, which leave them lagging behind their centralized peers. At Binance, we are fully aware of the issues that hinder DEX platforms from reaching a wider user base. And among the current and emerging DEX players in the market, we are in a unique position of knowing how to run a secure exchange platform that quickly processes billions in transactions for millions of people. From there, it’s a matter of figuring out how to replicate the successes of our market-leading centralized exchange into the decentralized realm. Here’s where Binance DEX comes into the picture. What’s in Binance Chain and DEX? With Binance Chain and Binance DEX, our immediate goal is to quickly launch a platform that does one thing very well: exchange assets. “Binance Chain is a very simple chain in terms of application, but it can handle very large loads. It is our opinion that the load is more important than the features,” Binance CEO Changpeng “CZ” Zhao said about the upcoming blockchain. Once we show that the infrastructure is sound enough to handle many transactions quickly, the additional features will follow. That said, we agree that Binance Chain and Binance DEX should start with functions that allow for the exchange of assets. Binance DEX will allow you to send and receive Binance Coin (BNB) between different addresses. You can issue new tokens on the blockchain, which you can then send, receive, burn, mint, freeze, or unfreeze. In addition, any participant in the chain can propose the trading pairs they want to see and, with enough support, start trading in that exact pair he proposed. As the DEX grows, more functions will be explored and developed further. In relation to these functions, we are migrating Binance Coin (BNB) to the Binance Chain, turning it into the blockchain’s native coin to be used for blockchain fees and other transactions. This transition will result in more usage of BNB, now one of the top 10 cryptocurrencies in the world. Binance DEX was designed to handle the same amount of transactions that the current Binance platform handles. At its current beta form, Binance DEX can handle trading volumes as huge as the ones we process on the centralized exchange, at a rate of about "a couple of thousand" transactions per second, according to CZ. These capabilities, which are already light years ahead of most DEX options, are made possible by the Binance Chain, which has a one-second block time. By comparison, block times are estimated at 10 minutes for the Bitcoin blockchain and 20 seconds for the Ethereum blockchain. This easily fixes the speed issues that hinder DEX platforms. On the user experience side, Binance Chain is designed in a way that incorporates the most user-friendly functions on the Binance website. It also provides people with many options to participate in the chain. You can create your own address via the Binance Chain Web Wallet, which has a user interface similar to what is on Binance. From there, wallets that support Binance Chain include Trust Wallet, Binance’s official crypto app, as well as third-party wallets like the Ledger Nano S and many more to come. Once we establish that all functions are running smoothly, we will grow the DEX accordingly to include support for more wallets, as well as interchain and cross-chain features. Infrastructure-wise, the testnet of Binance Chain will start with 11 test nodes. We will test various combinations of nodes to optimize performance. While many have asked, the number and selection criteria of mainnet nodes are yet to be decided. At this stage, we simply want to develop a best-in-class DEX as fast as possible. In the long term, the blockchain governance will be community-driven. And the more this community grow, the better equipped we are to realize our vision for greater freedom of money. Want to know more about the upcoming Binance Chain? Read CZ’s answers to your questions about Binance Chain, as well as his thoughts on the centralization vs. decentralization debate in crypto.